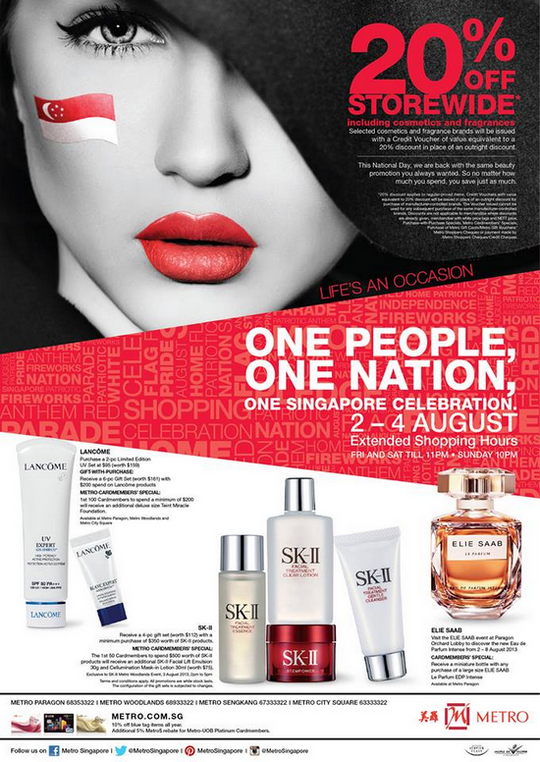 This National Day, enjoy 20% OFF storewide, including Cosmetics and Fragrances. We are back with the same beauty promotion you always wanted. So no matter how much you spend, you save just as much. Promotion is available from 2 – 4 August 2013 only. Extended shopping hours: Friday and Saturday till 11pm, and Sunday till 10pm.